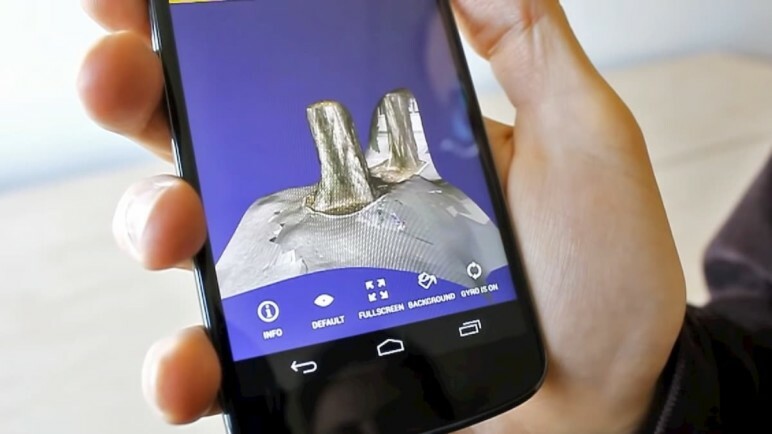 3D scanning with a smartphone is a great alternative to high-priced scanning equipment. With a little bit of clean up, you can recreate some of your favorite physical objects. In this article, we take a look at 7 smartphone apps that’ll more than get you started. Time. It’s likely you’ll spend a lot of time trying to get many of these apps to work, and that can be frustrating for people who just want a good scan. Effort. In order to extract the best possible quality out of your 3D scans, retouching in software is needed. Results. 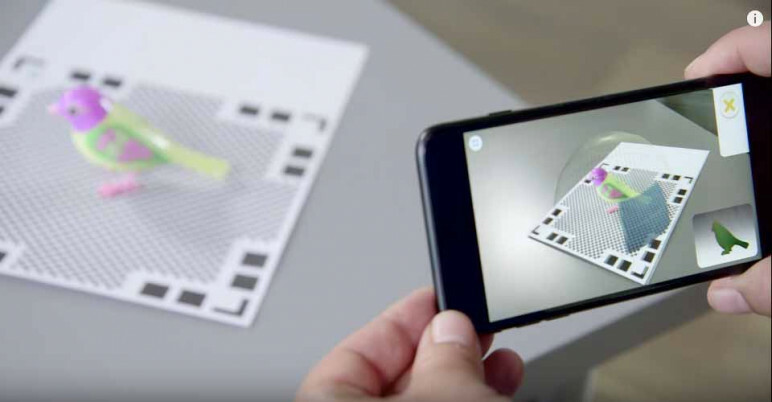 Poor quality images are a common problem with the current generation of 3D scanner apps, as many smartphones lack the necessary hardware for a good scan. 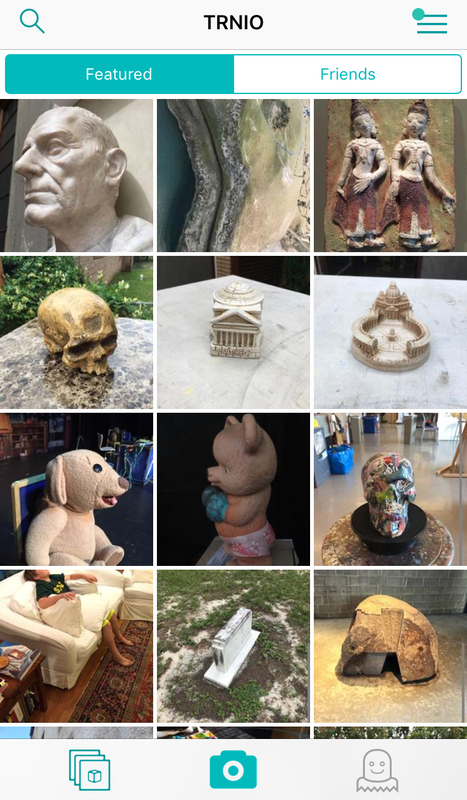 Most 3D scanning applications are based on photogrammetry 3D scanning, where several pictures of the same object are taken from varying angles – while aiming for a 360° view of the object in question. The application will then process the photos – on the app itself or via a cloud service – before “stitching” them together to form a 3D model. Compared to Android, Apple and its community seem more committed to 3D scanning. The company is equipping the latest Apple devices with spot-on 3D scanning hardware and turning those high-end gadgets into powerful 3D scanners. Regardless, in the following, we present 7 of the best 3D scanner Apps for both Android and iOS. The list is made up of apps that only use the smartphone for scanning, with no extra hardware required. While extra hardware will result in better scans, the accessibility of 3D scanner apps is very useful. Trnio is a dream to use. You simply tap the camera button in the center of the screen and walk around the object. The screen adds a blue augmented reality (AR) dot every time it takes a picture. Once you have enough photos, you just tap and hold the middle of the screen, and it will start stitching them together. As long as you’re steady, and the object you are scanning has a lot of texture on it, scans normally turn out well. The app will also scan objects around the target, meaning you’ll have some cleaning up to do. Reliability can also be a small issue, as some scans turn out better than others. As an additional feature, Trnio incorporates a social platform of sorts. You can follow other users, view other scans, and add friends. It’s interesting to view the featured scans and see how other people’s scans have turned out. And thanks to the app’s “export to Sketchfab” feature, you can download scans from Sketchfab’s website. At first glance, Qlone, from EyeCue Vision Technologies LTD, seems amazing. Built-in AR viewing, easy export to Sketchfab, and even an AR guide to help you scan. Before you start scanning, you’ll have to print out the Qlone mat. Scanning itself is simple: You simply press the plus button and then move your phone or the object around until the AR dome is clear. Once the software has rendered the model, and you can colour and export it. Another feature of Qlone is that you can take scans in more than one position, and it will merge them for a better scan. Although this feature does help sometimes, scans usually come out with deformed features, especially a distorted top. One of the downfalls of Qlone is how poor some of the scans are. Although some are recognizable, some smaller models are not as good. 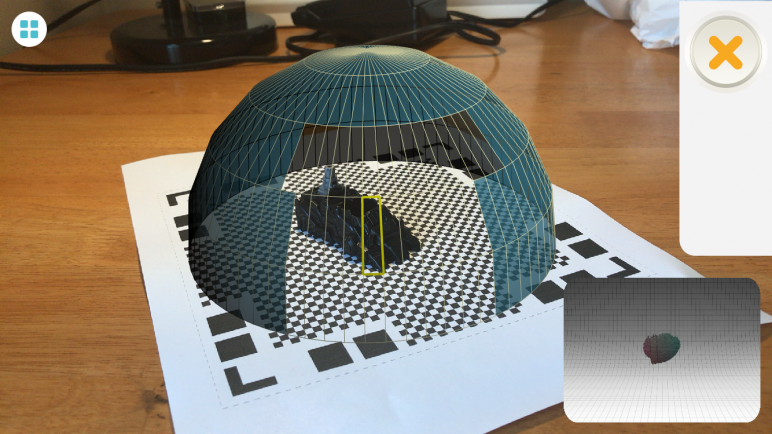 The more your object fills up the AR dome, the better the scan will be. The other thing we don’t like about the app is the monetization of the exports. While exporting GIFs, videos, images and to Sketchfab and social media is free, exporting to CGTrader and Shapeways costs $0.99 ($14.99 for three months of unlimited exports). Even exporting an OBJ or STL file isn’t free. Instead, you must either pay a dollar for each export or purchase credits to “unlock” the model. Overall, Scann3D, from SmartMobileVison, is a definite forerunner. With easy-to-see tracking points, the ability to import images, and exporting to Sketchfab, Scann3D looks good. The app is very clean, easy to use, and overall makes for a good experience. It features “guided scanning” to help make sure that your photos are good, and it really helps. Something that can be frustrating at times is that the app does take a long time to render a model. On top of that, during testing, the app crashed while it was rendering photos. This was angering, in that it happened after stitching, which itself took a long time. Another point of frustration is that you can’t export models without subscribing to their features. 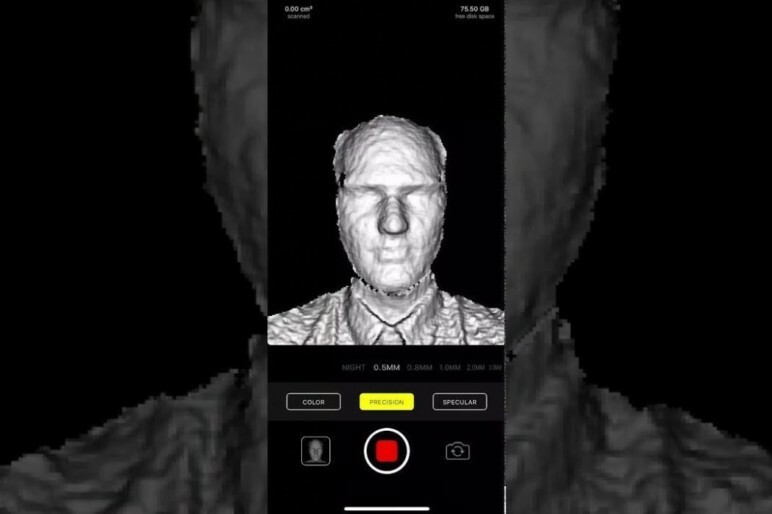 This 3D scanner app was truly thought out, and it is easy to see why Scann3D would want to monetize their technology. Yet, as with Qlone, there could be a better way to monetize. Cappy, by Scandy, is more of a social network of scanned creations than anything else. With no way to export, it doesn’t really have a purpose other than being fun. Inside the app, you can view other peoples’ scans in AR, wherever and whenever you want. If you have an iPhone 10, you can use the front-facing camera to scan objects. The app is very easy to use and is also aesthetically pleasing. Everything is completely free, so you can scan all you want. One of the downsides is that you can only scan for ten seconds, but since the app has no other purpose than to look at and share models, this is more than enough time. All and all, if you want good exportable scans, this is not the 3D scanner app for you. If, on the other hand, you’re looking for a fun way to scan with your friends, give it a shot! Heges was launched in 2018 and is meant for the iPhone X-series (iPhone X, XS, XR), which comes with the TrueDepth camera. The app has a scanner package that costs $2.99 and can scan in a number of precisions, with the ability to export the 3D models into PLY and STL files. Heges also captures color and features a “Night Mode”, which lets the user scan in a pitch-dark environment. Once you switch to the passive Night Vision, there are no restrictions on the scanner range. You can share a screen with another Apple device while scanning, as long as the other device has the TrueDepth camera or can install Heges. But if screen sharing is a problem, you can use this mirror holder by Thingiverse user 3dpeteuk, to hold a mirror in front of your camera to see whatever you are scanning. There’s also this rotating 3D scanner, by Andrew Riley, to perform 360° rotation more comfortably. Heges has a new feature called “Infinite Scanning” that lets you scan infinitely large spaces with the only limitation being the storage space on your phone. The app will give you high-resolution point clouds and may seem tricky to use at first, but it gets easier once you get the hang of it. One of the limitations of Heges is that the scanner can fail when you start moving too fast or when you try to scan a difficult environment like a glass surface. But that’s nothing for an app that lets you view your models in AR. 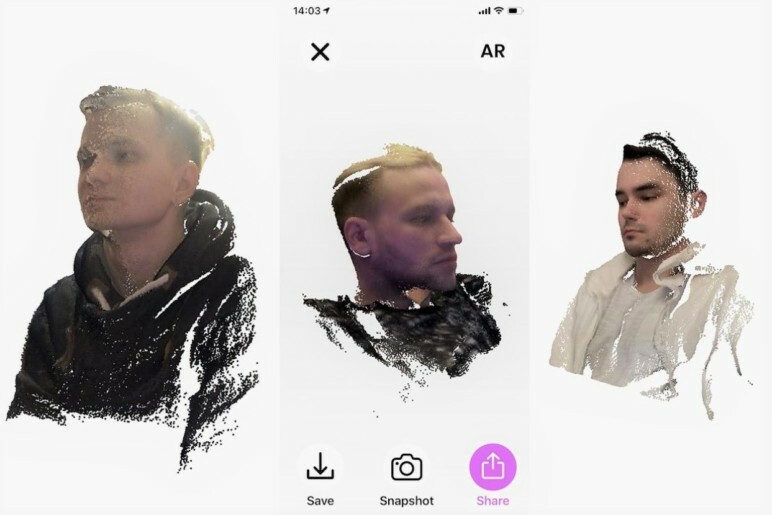 3D Creator can turn objects and people into high-resolution 3D models, and depending on what you want to scan, the App will help you achieve a great scan because it has different scanning modes, namely food, head, face, selfie, and freedom. The app used to be exclusive to Xperia devices, but Sony made it available to other Android devices, too. 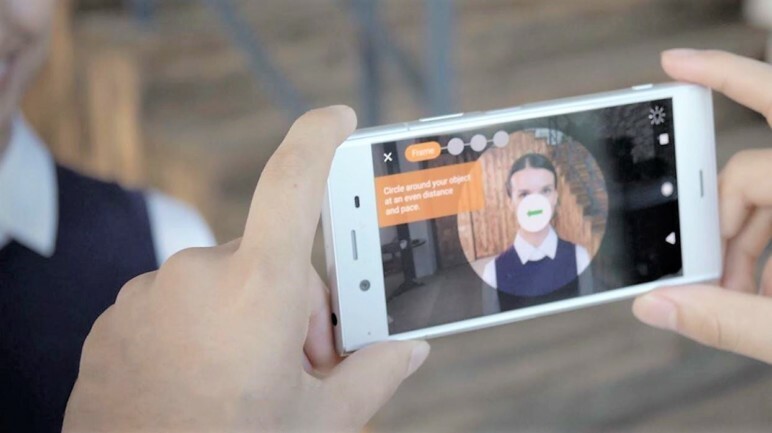 The Sony 3D Creator App gives you the freedom to create a 3D model of your face using the front camera, and if you like, you can share your model on social media or print it at home. “Post-scan cloud processing” lets you render 3D models with a 4K resolution, allowing for better detail and realism. The scanner also has AR effects that enable you to bring your scans to life as 3D avatars. When you’re feeling unsatisfied with your models, you can enhance them using cropping and photo adjustments within the app. Or you can improve the quality of your scans by uploading them to Sony’s servers. You can use Capture to take 3D scans that can be shared with friends or saved and downloaded in the file format of your choice. The app requires the TrueDepth camera, which comes with the iPhone X-series (iPhone X, Xs, Xr), and allows you to send your scan via iMessage, WhatsApp, Slack, and many more apps. The key is that any iPhone can display the scan, even if it lacks the TrueDepth camera. Scanning with Capture is like taking a panorama photo. You can preview the scan in the app’s model environment or place it in AR. This application has a platform where you can sign up for a free account and save or view your scans. From the same platform, you can download the file in a format that suits your needs. 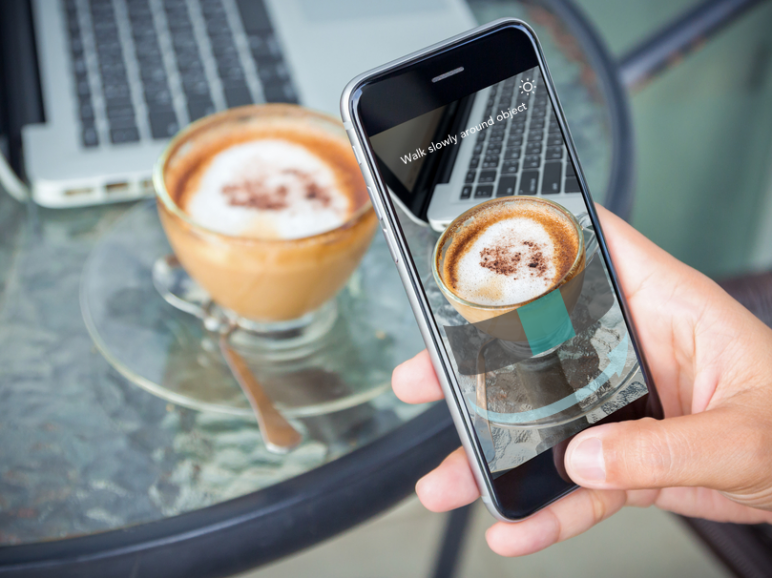 Capture leverages the cameras and the sensors of the iPhone and functions by creating a “point cloud”, enabling it to measure the depth of the object you’re scanning. The application then processes the collected information to come up with 3D models. The main limitation of this app is that you can only use it on the front-facing camera. Therefore, you have to hold your phone in an awkward position whenever you want to scan an object. Also, whenever something goes wrong — like when you stop or move too slow — the app will prematurely stop scanning. 3D scanner apps are getting better and better. They’ve become not only easier to use but also better in quality and reliability. Ease of use in all of the apps has also improved tremendously. With the 3D printing industry on the rise, scanning will no doubt be soon to follow. Because of applications that replicate and improve objects, 3D scanning is also very useful. These apps will keep getting better, and that’s the main take away from the ones in this list. They may have their faults, like poor quality and some monetization problems, but they’re only a glimpse into the future. A future of scanning with ease and extreme quality at the tips of our fingers.